American Ballet Theatre’s new production of Whipped Cream, choreographed by ABT Artist in Residence Alexei Ratmansky, will receive its world premiere at the Segerstrom Center for the Arts from 15 – 19 March. It will subsequently be performed in New York at the Met between 22 May and 1 July. The performance on the opening night in California will mark David Hallberg’s return to ABT of after more than two-years away from the stage after an injury. He performed for the first earlier this month, with the Australian Ballet. Hallberg will play Prince Coffee, Daniil Simkin will be The Boy, Stella Abrera is to play Princess Tea Flower, and Sarah Lane will take the role of Princess Praline. This light-hearted fantasy by Richard Strauss is based on Schlagobers, a two-act ballet with libretto and score by Richard Strauss that was first performed at the Vienna State Opera in 1924. 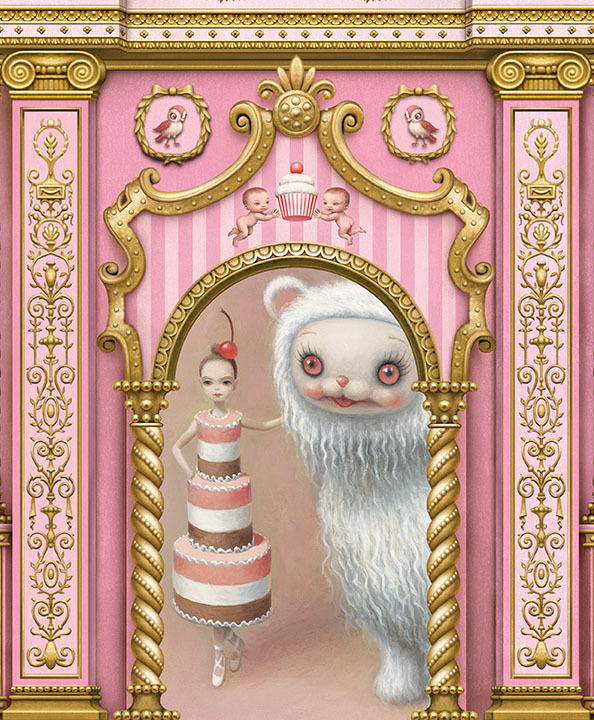 In this fantastical confection, a young boy overindulges at a Viennese pastry shop, and falls into a delirium. To help the boy escape from his attending physician, the boy dreams of his triumphant rescue by Princess Praline and her court, replete with Princess Tea Flower, Prince Coffee as well as marching Marzipan, concluding in a festive celebration! It is a full-length ballet score, ‘light as meringue’, so it looks as though they’ve got a Nutcracker alternative raring to go, suitable even for the youngest of ballet fans. Looking forward to seeing him at the premiere in Los Angeles! This is wonderful news!